The latest edition of the established Enduro ID card printing platform now includes Ethernet as standard and a 3 year warranty. 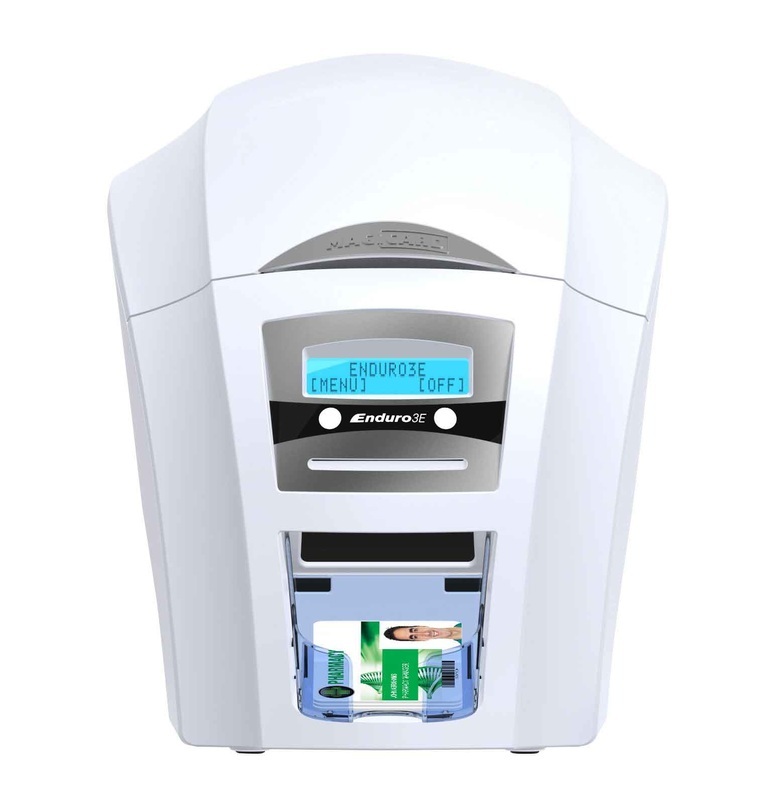 When it comes to secure and reliable ID card printing, you can trust the Enduro3E ID card printer to deliver. Robust, durable and reliable, the Enduro3E ID card printer is perfect for schools, colleges and medium sized businesses that print up to 10,000 ID cards per year. Many tens of thousands of Enduro series printers have been commissioned since its inception in 2008 and millions of secure ID cards are printed throughout the World on this platform every year. Now with USB and Ethernet interfaces as standard, the Enduro3E is easy to install and easy to use. Driver compatibility includes Windows 7, 8.1, 10 as well as Mac OS X. Batch print with the interchangeable 100-card feeder or print one-offs or rewritable cards with the hand-feed card slot. You can also enhance to double-sided printing with a simple drop in dye film upgrade. The Enduro3E can be equipped with a range of card encoding devices to write secure electronic data to ID cards at the point of issuance. Smart card encoding options include contact chip, MIFARE, DESFire and iClass. The Enduro3E can also supplied with a magnetic stripe encoder built-in. To protect the security of your organisation, you need ID cards that can be relied upon. Every card printed on the Magicard Enduro3E’s tried and tested platform can be secured with a HoloKote® anti-fraud watermark. Exclusive to all Magicard ID card printers, HoloKote, is a patented technology that can print a secure watermark on every card. The Enduro3E is supplied with four pre-defined watermarks that can be easily selected from the printer driver. To print a customised watermark, upgrade to the Magicard Rio Pro. For additional electronic security, both magnetic stripe and smart card in-line encoding options are available.